Alexander Novoselov was born in Leningrad,Russia 1980. 2001-2007 St.Petersburg academy of art named by I.I. Repin, graduated monumental painting department, the studio of well known Professor and artist Andrey A. Mylnikov. 2007Hes Final Diploma work was noted by a prize of the State certifying commission. (Research Museum of the Russian Academy of arts). 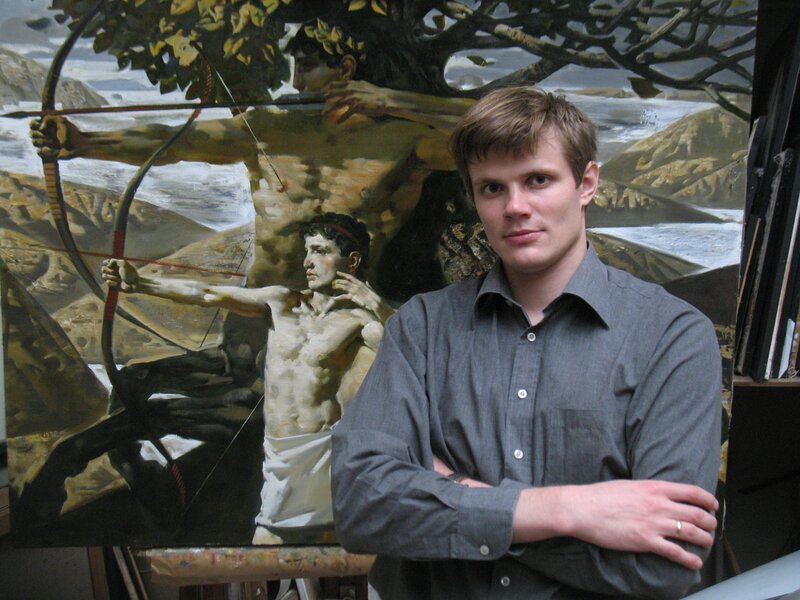 From 2009 teaching painting and Composition in St. Peterburg Repin Academy of arts.